Ultimate goal is to provide a great source for garden flags and decorative flags. We have many categories to choose from like Animals, Patriotic, Birds, Party, Collegiate, Military, and Religious flags. Our quality and selection are what make us the best. Our flags are made to last and will put the perfect touch to your holiday decorations. 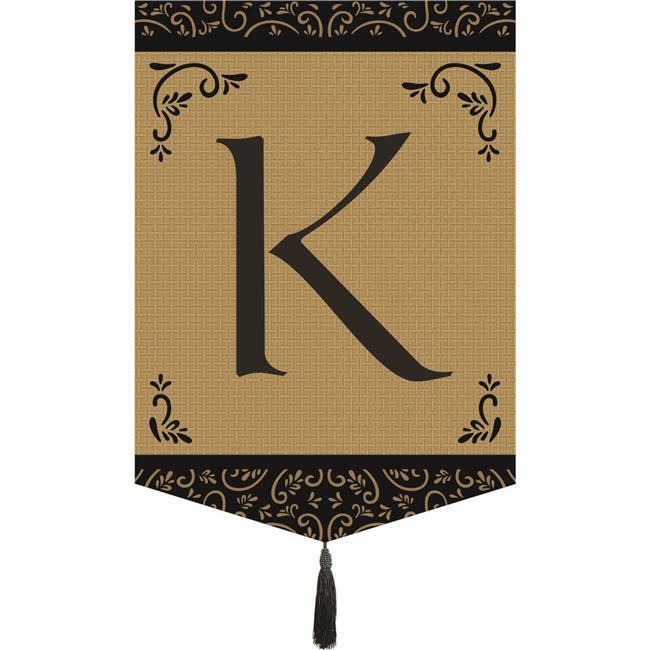 Monogram ''k'' tassel burlap using a sturdy 360-denier nylon. Applique stitching is nicely detailed. Flag will retain its color and beauty for years if displayed in shade or semi-shade and is rainproof.